The Student Squirrel always likes to look her best and what better way with the superb range of ethical beauty products from The Body Shop. The great news is that there is a Body Shop student discount code to get 25% off . Just head to this page on thebodyshop.com, validate your student id with Unidays and you’ll get an exclusive code. For full information and all the ts and cs check out chapter 1 in this guide. It’s good to know that there is at least a 25% Body Shop student discount and usually more to help you save. And there are now a range of vegan and vegetarian beauty products. The Body Shop banana truly nourishing conditioner? Seaweed oil balancing toner? Hemp hand protector? The Squirrel says yes to all these and more to make her fur clean and silky and her paws soft LOLZ. And after reading this you’ll be getting your hands on all your lovely Body Shop beauty products for an awful lot less! There is a contents box below so if there is a specific section that interests you then click on it an you’ll smoothly scroll to that section. Is there a The Body Shop NUS, Unidays or Student Beans Discount? There’s lots of confusing results when you google ‘body shop student discount’ so we are here to explain it all. Not only can you get a standard 25% off, students can usually save more. The Student Squirrel is here to show you how. 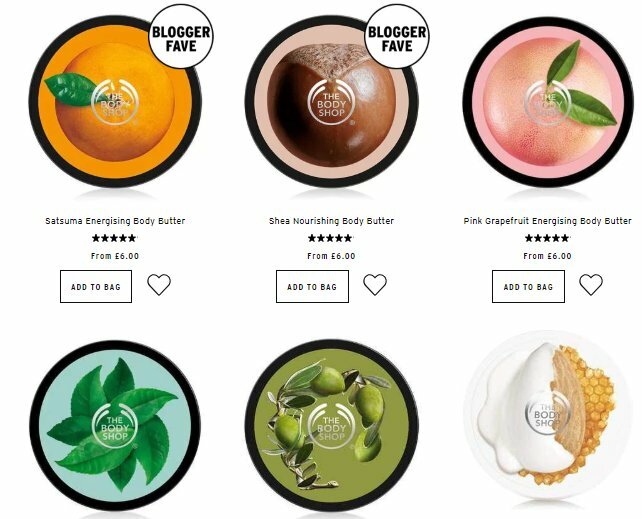 So you’ve got all those lovely natural body butters and hemp beauty products in your online basket at thebodyshop.com and you should wait right there as you can get a 25% Body Shop student discount code straight off the bat. But before you do that students should check out our savings section in this guide. Go to this page on thebodyshop.com. In the white footer section look for the ‘Student Discount’ link at the bottom of the page (screen shot below to help you find it). Validate your student status and you’ll be issued with a voucher code. Enter your code at the online checkout and a fantastic 25% reduction will be supplied. Go crazy in the union bar buying rounds for your fellow learners (optional). 2. Is there a Unidays Body Shop, NUS Totum or Student Beans Discount? It can be mighty tricky finding an answer to whether there is a Body Shop student discount, and seeing as there are now 3 student discount companies in the UK (NUS, Unidays, Student Beans – along with us of course) it makes matters doubly confusing. That is where Student Squirrel steps in to save the day! We’ve written this comprehensive guide to answer questions just like that. The Body Shop Unidays Discount? At this time of writing ( October 2018 ) there is no tie in with Unidays. Student Beans has all the glory there – read on to find out more. Not to worry though, check out our savings section to see the latest ways that you can save and any available promo codes. The Body Shop NUS Discount? There is no NUS Body Shop scheme at the moment for students to save online. HOWEVER, NUS students will qualify for a student discount online and instore. In-store show your NUS card and you should get the discount at the till. Are there Student Beans Discounts? Yes there most certainly are! This is how you’re student discount is validated and the student code issued. Simply go to this page on thebodyshop.com, scroll to the student discount section right at the bottom of the page and click on that page and you’ll be off and away to 25% all those lovely cosmetics. Now we’ve been doing some Squirrel research and we’ve found that there is a rewards programme at The Body Shop called the ‘Love Your Body Club’. We especially love this last reward, it’s got a fun and personal touch. So what are you waiting for? Join up today! he savings don’t stop there though students. Read on to get some more excellent savings tips! As we’ve mentioned there is a great 25% Body Shop student discount code but there are short term promo codes which often have BIGGER REDUCTIONS. Take a look at our savings section which will list them all there. The great thing about the voucher codes is that you don’t need NUS id to prove your student status. They are available to all. You just shop on the site and when you come to the online checkout, just pop in the discount code and you’ll receive your special saving. Easy as, just the way we like it here at Squirrel Towers. Did you know that some of the biggest savings that students can make is when there is a big sale on? We keep our squirrel eyes open so any sales will be in our fabulous savings section. Take a look and see how much you can save. The biggest sales happen around the same time each year. Check the dates below as if one if coming up it might be best to hold on. There is usually a HUGE OFFER for the Body Shop Black Friday sales and last year it was a promo code for 40% off everything with free delivery on orders over £5. There are some fantastic savings and a perfect time to buy some smelly, ethical gift sets. The Body Shop goes big around the Christmas sales. There is usually 40% off in the run up to the big day, which is an excellent time to save. Plus the free delivery offer is usually on again. Then past Boxing Day you can use the code to get 40% off sale items on the website. There are usually bargains to be had around the last week of March with big reductions made over hundreds of lovely beauty lines online, and then a 40% code off everything including sale items, so some serious bargains can be bought around this time. British cosmetics and health product shop The Body Shop seemed a cult shopping destination for all during the 1990s and was synonymous with founder Anita Roddick’s activist spirit and passion for quirky fragrances at the forefront of all they did. However, the chain, which has stores found on most high streets around the UK, was sold by Roddick to L’Oreal in 2006 and the parent company’s reputation for testing on animals and producing products en masse didn’t resonate with The Body Shop’s customers, and the brand fell out of favour. Anita Roddick sadly passed away a year later, and for many, the furore of The Body Shop’s sale ended and other news stories took over. What didn’t make the news nearly as heavily was the fact that in 2017 L’Oreal sold The Body Shop to a Brazilian cosmetics chain, Natura; whose natural approach and strictly no-animal-testing policies position the brand back with those who took their custom elsewhere a decade ago. Now the company is striving to win back its reputation and has immediately struck out any products with any ingredients of uncertain origin or that may have been tested on animals. A large vegan range has been introduced, and the fragrances have been updated since the 90s in line with current demand (no more Dewberry or Fuzzy Peach, but instead Matcha Tea and Almond Milk). The Body Shop sells its own-brand stock both online and in physical shops, and the range is bigger than ever; proving that cruelty-free health and beauty is achievable on the high street. Current products include cleansers and toners, shaving products, moisturisers and face treatments, body butters, oils and serums, bath time and shower products, hair care, perfumes, a full make-up range, and gift sets of their most popular fragrances. The brand’s classic ranges such as Vitamin E enriched treatments and Wild Argan Oils are also still available but have been joined by various new fragrances and featured ingredients. 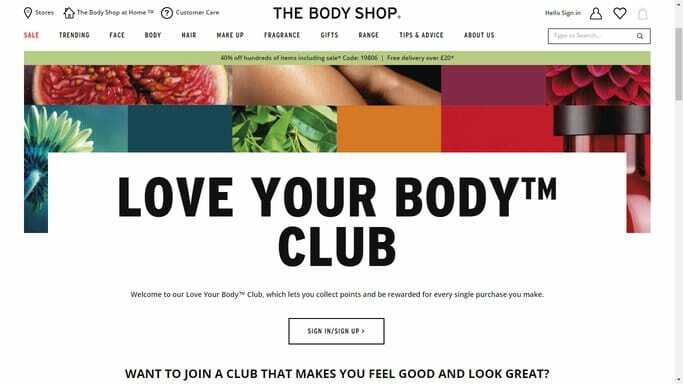 Even if you’re able to shop in-store in your local area, it’s worth logging on to The Body Shop’s revamped website simply for the wealth of information! Their blogs include not just product-plugs but also tips and advice for various health, skin and body issues, guides to the benefits of specific natural ingredients, and relaxation and wellbeing information. There’s loads there; so have a skim read through and you’re bound to find something that works for you! The Body Shop’s bestselling hand cream, the Hemp Hand Protector is a thick and creamy moisturiser in an elegant metal tube. It’s dermatalogically tested and has been enriched with Community Trade hemp seed oil, which makes it perfect for severely dehydrated and even cracked hands. The hemp soothes sore, dry and irritated skin whilst nourishing it back to full health, so there’s no nasty sting and no risk of further infection. It may be hemp, but no, it won’t get you high… although you might enjoy the smell! A delicious pick-me-up to apply after your shower or bath in the morning… or just to help perk you up from a hangover! You’ll find your skin improves and is soft and supple in no time at all using this beautiful body butter, and its lasting effect (it soaks into the skin for up to 24-hours) will help give you round-the-clock moisturisation, so you’re working on your skin even when you’re not thinking about it. This butter is non-greasy, easily absorbed and made from Community Trade cocoa butter sourced from a scheme in Ghana. No longer is Head and Shoulders the only option if you’ve spotted some white flakes in amongst your hair: go natural instead! This shampoo is the ideal solution for flaky or even just dry scalps, and its beautiful organic ingredients will help soothe and heal your head. A blend of ginger essential oil, birch bark and white willow extracts mixed with Community Trade honey from Ethiopia gives a stunning result to gently and non-abrasively remove any flakes and treat the sore scalp below. Use with a good conditioner and you’ll be flake-free in no time! The Body Shop was founded back in 1976 by Anita Roddick, following her visit to a small retailer with the same name in Berkeley, California six years prior. The American version was housed in a car repairs garage and sold naturally-scented soaps and body lotions, employing only immigrant women. Moving the business to the UK, Roddick bought the name from the American firm and experienced rapid growth almost immediately, expanding at a rate of 50% year-on-year as eco-friendly consumers spread the word. In 1984, The Body Shop floated stock for the first time on the London Stock Exchange and the original 95p price increased by more than 500%! Turning increasingly to social and environmental justice campaigning to promote its products, Roddick ruled out any animal testing and launched international marketing efforts to raise awareness of animal welfare and the self-esteem of women. Way before its time, The Body Shop began employing plus sized women and produced items for a range of skin types and colours. In early 2006, Roddick sold The Body Shop to L’Oreal for £652.3million to mass controversy. She later explained to the press that she hoped to use her new position within a wider business to influence their decisions and policies. Sadly, Anita passed away a year later in 2007 and L’Oreal moved the company largely away from her original values. A decade later, L’Oreal sold the business on and Natura set about returning The Body Shop to its former glory. As you can see there are lots of ways to save The Body Shop! So treat yourself to some pampering and get smelling good. We love a bit of Body Shop comfort on a Sunday to cure a hangover or after a long essay…. enjoy! Has stores in 66 countries! It was owned by L’Oreal until June 2017, then it was sold to Natura. Roddick was inspired whilst travelling and all products are natural and ethically sourced. The Body Shop proposed an alliance with Greenpeace in the UK – a perfect match. They have campaigned against animal testing since 1989.